Zeta focuses on digitising employee tax savings & benefits. 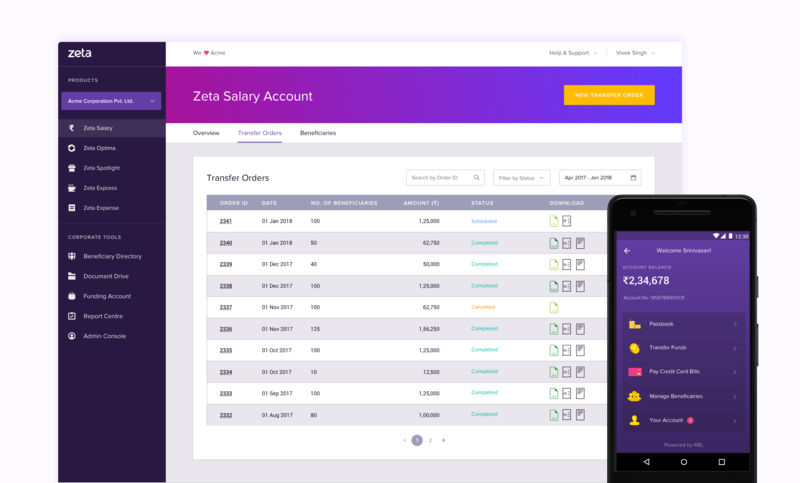 I Worked as an interaction designer for two stealth mode web products bundled inside the Zeta Optima product which focuses on digitising the employee salary disrbursal and health insurance process. Apart from this, I worked time in designing multiple user life cylce interactions. The Leave Travel Allowance program in Zeta provides a hassle free experience for employees to efficiently submit and claim their travel expenses. I got to work on improvising the Interaction Design and Visual Design over the existing version for the program bundled inside the Zeta Optima suite for employees.